English author Samuel Johnson once famously said "When a man is tired of London, he is tired of life." Call me tired of life, then, but I am weary of London. Steampunk London, that is. I still love you, real London. No hard feelings. But your gear and cog-covered cousin is starting to drive me batty. Lately it seems that anything that's steampunk must be set in London or its outskirts and, I hate to say it, but I'm bored! Steampunk is one of my favorite genres to read. Sadly, there isn't enough of it out there, and even worse, most of it is totally focused on Great Britain. I can understand why; it's called the Victorian era for a reason, after all. What many people overlook is how vast the English empire's reach was back then. Why can't we see steampunk novels taking place in India, Australia or Japan? Just imagine what those stories could be like. Besides just the potential for gorgeous new locations, think of the chance to address some of the most important yet under-written aspects of the Victorian age: colonialism. 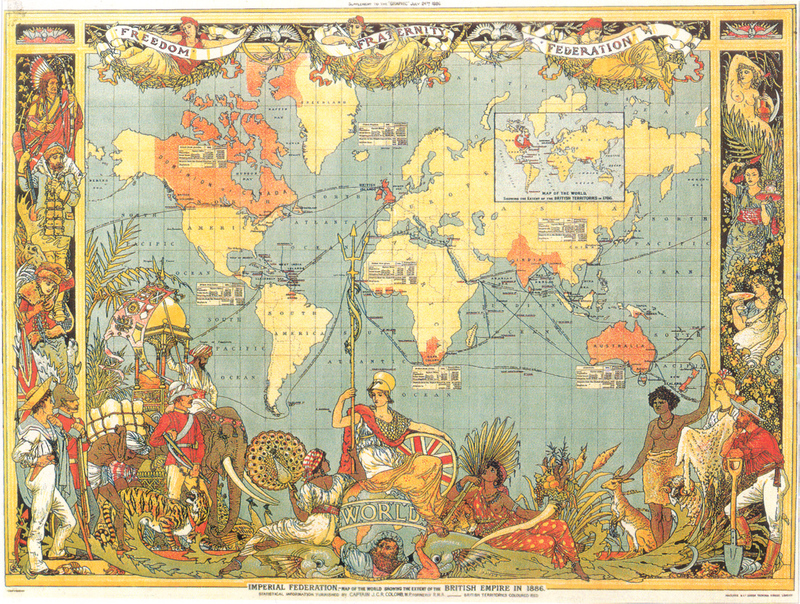 Steampunk has often been accused of glorifying British colonialism. I think placing some steampunk stories in different countries and cultures would be a fascinating way to explore this. Steampunk isn't just a chance to glue gears onto a character's top hat and call it a day, steampunk could be used to examine so much about Victorian culture. Whether it's class structures, colonialism or gender, the Victorian era holds multitudes of things to study and challenge. I am tired of steampunk being used as an excuse for poorly written romance novels and bad cosplay. I want some serious themes in there with my clockwork corsets! Even North America feels slightly abandoned. Sure, I can find a bunch of novels that portray cowboys riding clockwork ponies through the untamed frontier, but nothing steampunk in the Civil War? Maybe I'm asking too much of my favorite silly pulpy genre. 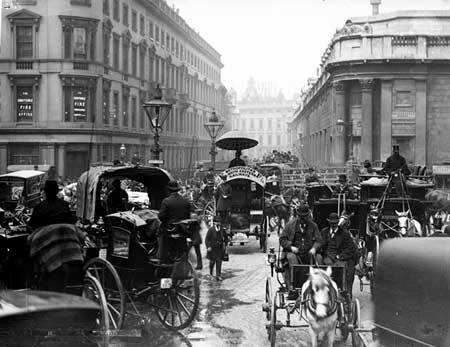 I do love Victoriana and steampunk London feels so homey now, but I yearn to travel in the Victorian steampunk world. I want to see how the Civil War would be changed with steampunk weaponry. I want to see how Japan would be different with steam technology. I want to see what steampunk India would be like. I want to see the huge lumbering problems of class and colonialism examined with a pinch of gears thrown in. Is that so wrong? When did steampunk become nothing but a frivolous excuse to wear goggles and fly airships? I'm open to suggestions. Does anyone know of any steampunk novels, short stories or comics that aren't entirely devoted to England? Leave your suggestions in the comments below and tell me if you share my frustrations or if I'm merely crazy. Cherie Priest's Dreadnought starts at a Confederate hospital and moves West, cutting across the war zone, but its not a steampunk that totally focuses on the war. It's not Victorian, but Scott Westerfeld's Leviathan trilogy is alt-WWI and travels around the world: Austria, England, Russia, the Ottoman Empire in Turkey, Mexico, the US. I think some of the Ministry of Peculiar Events shorts take place in different colonies, but I'm not sure if the main books have traveled outside of England yet (I've only read book 1 so far). One of the main characters is from New Zealand, though, so its a possibility we'll see more of the world, at least maybe more of her homeland. The main sereis is by Philippa Ballantine & Tee Morris, and the shorts are by many different authors. I bought the Leviathan books but haven't gotten around to them yet. They're not Victorian, as you said, but they still sound completely awesome. Part of the reason it grabbed me was because of the extensive locations! Actually, the Ministry shorts are available as podcasts, and I think they are more fun that way. I'm pretty sure the podcasts are free. My plan is to listen to the podcasts, then buy my fav shorts to help contribute to the folks putting this awesomeness together. Also, they are more "Case Files" featuring the main leads but also many side characters, so you can read the books without needing the extra bits. Although I totally get the need to read everything once you get into a series.